Now I share a house and therefore a bedroom with the boy, gone are the days when I could have bright pink walls with bunting and candles everywhere. We have tried to compromise when it comes to decorating the house as we have wanted a more mature look that reflects our combined personalities. I feel that in the bedroom there is a little allowance for a more feminine touch, such as the wicker hearts with the worn/rustic look and the porcelain 'follow your dreams' dove pendent, and so it could be said that I have taken the lead on the theme of this room. I find that the greys and creams compliment a combined masculine and feminine personality which is presented in a shared bedroom. I also think that they create a soothing and relaxing atmosphere which is lovely to have in a bedroom as it promotes a more peaceful feel. 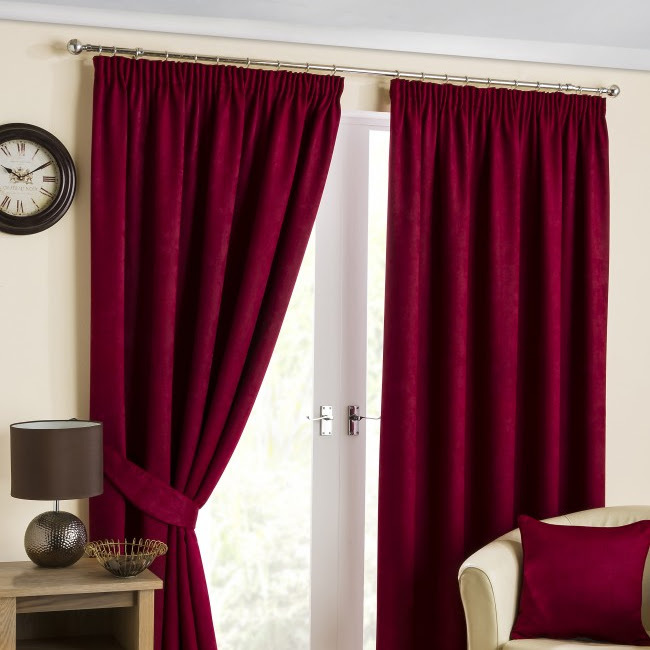 What colour themes or must have home decor items would you have in a bedroom you share with your other half? Firstly I cleanse my face with Clean and Clear's Black Head Toning lotion which really awakens my face first thing on a morning and gets my skin feeling really clean and prepped for moisturising. Of late my moisturiser of choice has been Superdrug's Vitamin E Moisturising Face Cream which I have written a full review of here. It is a lovely affordable everyday facial cream that is really rich with an SPF 15. I have been using my Nars Foundation in Santa Fe as a base ( again, a full review here ) paired with my new Nars Creamy Concealer in Medium Custard, for under the eyes and on any imperfections ( full review here ). Once I am happy with my base I sweep over a light dusting of Seventeen's Matte Loose Powder with a spot of Seventeen's Instant Glow Bronzing Powder ( review here ) and Benefit's Box O' Powder in Hervana. On my eyes I have been using the Iconic 3 Pallet by Makeup Revolution which is a lovely combination of neutrals that are so easy to wear every day. With a thin brush I sweep a dose of the darkest shade long my top and bottom lash line, and then finish with a coat of They're Real Mascara by Benefit. On my brows I use a small amount of the wax and powder from Benefits Brow-Zings in Medium, following the natural shape of my eye brows. I usually then pop on a spot of Carmex on my lips and I'm ready to go! 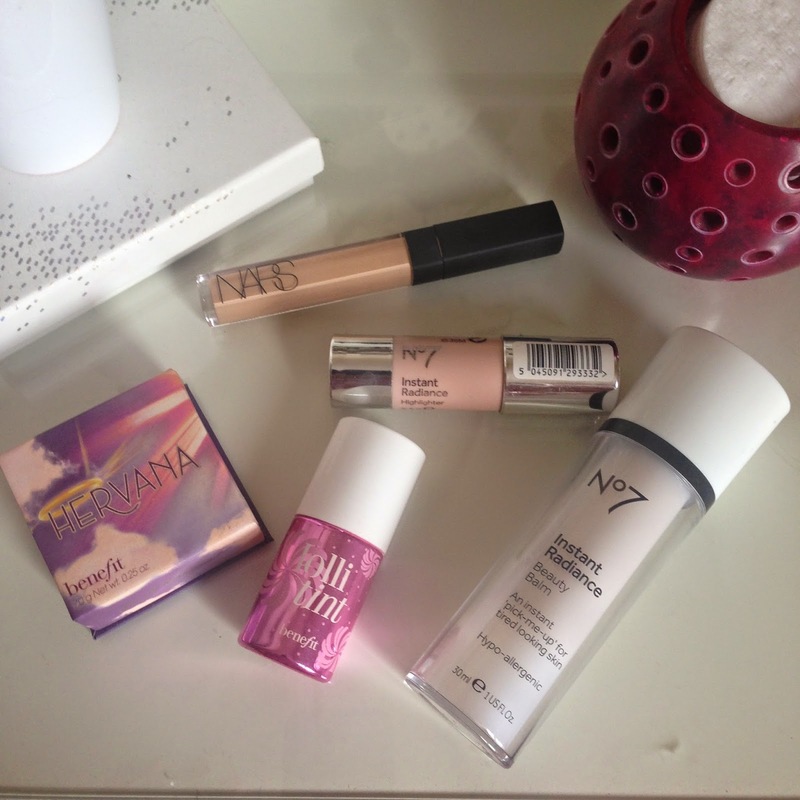 What do you use in your everyday make up routine? As much as I love lipstick, I have always just applied the product straight onto my lips. However, I have been wanting to buy a lip brush for a while as I knew that it would provide a more precise and longer lasting finish. I opted for this lip brush by Seventeen as I didn't want to spend too much money on something if I didn't end up liking the application or the brush itself. I have to say though, for a budget beauty buy, I have been very impressed with the quality of the brush, and don't feel the need to purchase a more expensive, high-end, branded one. The bristles are extremely fine and really soft and great at picking up the right amount of product. I have found that for better results it is best too first apply a small amount of lip balm and then line the lips all over with the lip brush and desired lipstick, finishing with a top-coat directly from the lipstick. Due to the oval shape of the brush it makes application very easy and creates a very neat edge and even colour. The long handle also aids in a more precise application as it makes the brush a lot more sturdy in your hand. 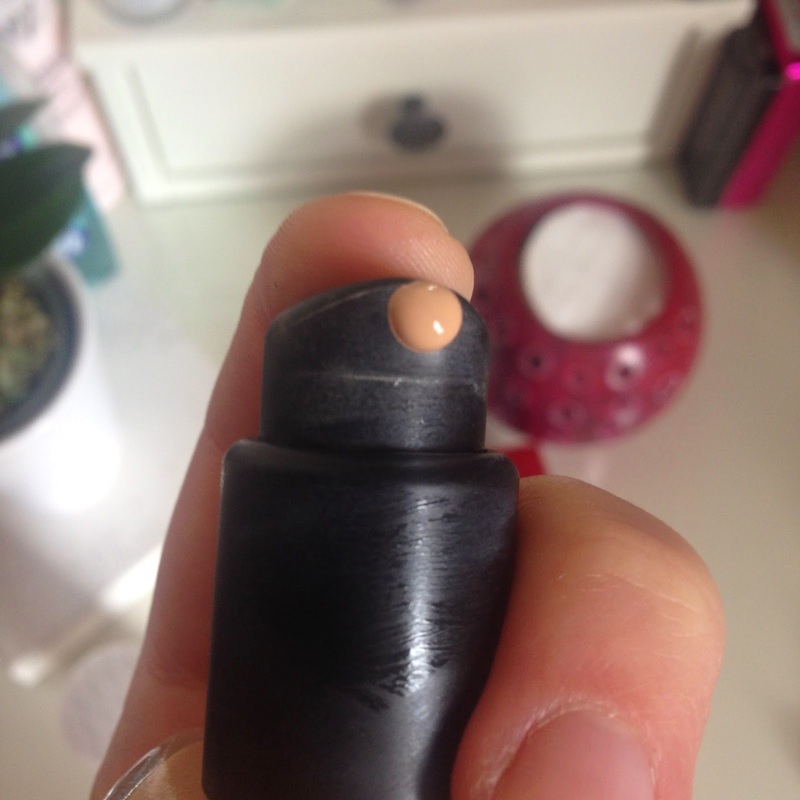 I have been really happy with this purchase as it has made my lipstick last a lot longer and look a lot neater, and to achieve this for only a couple of pounds has been an added bonus. Have you tried any brushes from Seventeen? I have picked up a few bits from Topshop and H&M over the past few weeks and thought I would compile them into a bit of a Spring wardrobe post. I love Topshop Jamie Jeans at the moment and so I decided to pick up a pale blue pair for Spring as I thought it would brighten up my outfits a bit more and they seem to go with everything. They have very on-trend ripped knees with a couple on the upper thigh for added detail. I picked up a petit pair as I am only 5ft2, and they skim my ankles in a very flattering way. I love wearing them with my black ankle boots, flats during the day and pink courts for a more sophisticated yet casual evening look. I also picked up a couple of tops from Topshop, a black, high-neck, plain tee with sleeves that cut off just above the elbow, and a cropped navy blue tee with white trim around the neck an on the cuffs. Both of these tops look great with my new Jamie Jeans, but I have also enjoyed tucking the black top into floaty skirts and wearing the blue tee with high-waisted shorts. The final item in this Spring wardrobe post is a dusky, baby pink cotton jumper from H&M. Apologies for the stain in the middle, I had dropped some foundation on it and thought I had got it off before I took the photo! The jumper is high-necked yet looks quite flattering with the small slits on the sides. I have been rolling up the sleeves and pairing it with a tank-top and again my Jamie Jeans. It is a perfect addition for a Spring wardrobe as it is light yet keeps me warm for those cast over days when it is too warm to wear a coat or a jacket. What additions have you made to wardrobe for Spring time? I picked up this palette a few months ago when I was having a bit of a rampage on the MakeUp Revolution website - it is so hard to not keep putting items into your shopping basket!! To be honest, I had forgotten about this little Bronze, Highlight and Blush Palette until a few weeks ago, and I have been using it practically every day since! This is a fantastic little trio of products that I would really recommend to anyone, either for everyday use or as a travelling companion as it is lovely and compact. All of the tones and shades of the three powders work great with my skin tone and each is buildable yet completely blend-able. The bronzer is very similar to Seventeen's Matte Bronzer ( a full review of which you can read here ) in that it is matte, does not appear orange but gives a natural sun-kissed glow to the skin. Usually I always opt for a liquid highlighter however, I have really enjoyed using this powdered highlighter of late. I find that it is much quicker to apply and is good for day wear as it is slightly more subtle than Benefit's Highbeam for example, which is what I usually use on an evening. The Blush is also very subtle which suits me well as I usually go for light/pale/pink-y tones as opposed to a bight or pigmented shade. All in all, I think it is a lovely product and I am really happy to have it in my collection. What have you been loving from MakeUp Revolution lately? The weather has been getting a little warmer of late, and with the appearance of the sun, of course this means that pasty limbs that have been hidden away all winter, want to come out and play. This week I have been reaching for my Dove gradual tan in Medium to Dark, and like a good ol' self tanner, this means I have also been reaching for a good body exfoliator. I usually opt for one of the Soap and Glory body scrubs as they are one of my favourite brands to use for body care, however I saw this St Tropez Body Polish on offer for £1.99 and thought that I would give it a go. Although I am a huge fan of fake tanning, I have never actually used a St Tropez product before. 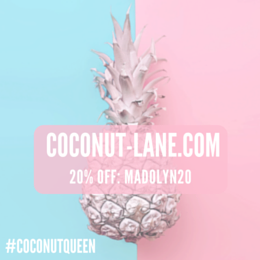 I think that it is probably the price that puts me off the most, I think that there are so many other tanning brands that provide excellent colour, coverage and longevity that I have never felt the need to spend over £20 on a fake tan product. On to the body polish however, and I find that it is a bit of a mixed bag for me. The exfoliating beads within this product are very fine and there are tones of them, even in a small pea sized about. This may sound great to some of you, however I prefer more of a sugar scrub type texture. I like to exfoliate with larger and fewer beads as I find it gives a smoother, better finish to my skin. I find that the smaller beads just hurt my hand after a while and don't give as smooth a finish. The smell is slightly too clinical for me, it almost smells like Imperial Leather soap, and for me, one of the main reasons I love Soap and Glory is because the products all smell amazingly sweet and floral. Now, don't get me wrong, I still think that this is a great product, it's just that I usually opt for something that smells slightly more girly and has larger exfoliating beads. It does exactly what it says on the tin, it lightly removes dead skin cells and gently exfoliates, I just like a deeper scrub. It is also recommended that you use this product in between applications and so I guess you wouldn't want to intense an exfoliation if you wanted to prolong your colour. And at £1.99 I can't grumble too much now, can I?! How do you prep your skin to get ready for fake tanning? 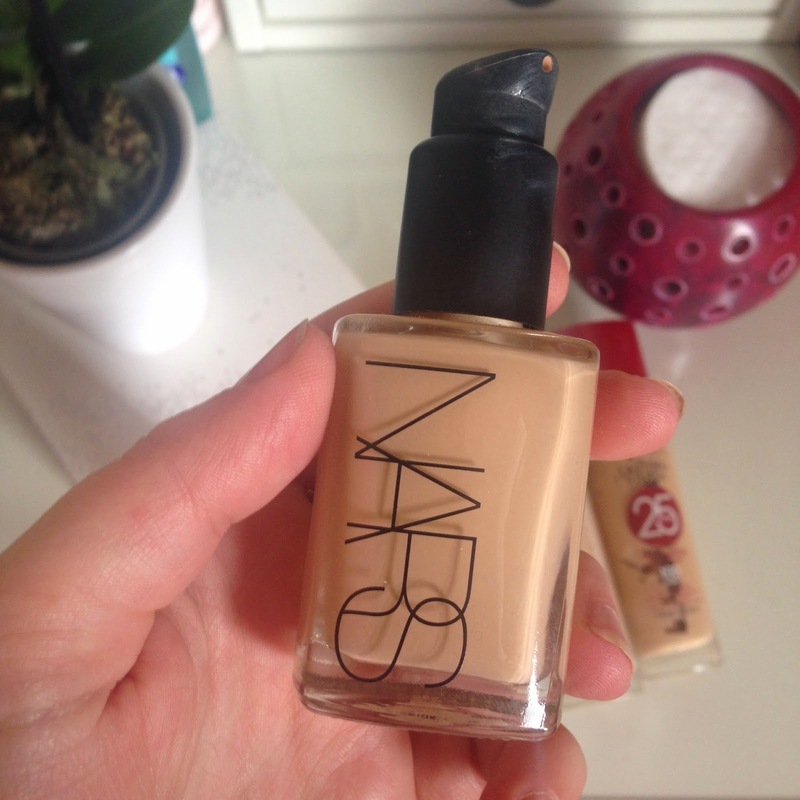 The Nars Radiant Creamy Concealer has been on my wish list for what seems like forever! I popped into John Lewis a few weeks ago and left the counter with my bank balance drastically reduced. (keep your eyes peeled for more Nars product reviews soon!) The girl sat me down and colour matched me and I ended up with the shade Medium Custard. I opted for this shade as I wanted a concealer that would not only decrease the appearance of dark circles, but also hide imperfections in various areas on my face. I was asked if I wanted the shade up which would lighten the area underneath my eyes to brighten the area, but for the time being I think this one will do nicely. I love the application of this product, it is almost like applying lip gloss in various places on my face. This is great as it means that I can be really precise and use as little or as much product as I like in a very controlled way. It claims that it is suitable for all skin types, and although I don't have particularly sensitive skin, I am slightly prone to break outs, especially when I introduce new products to my skin and make up routines. It is incredibly creamy but not too thick for the skin as it can be easily blended, but is still very buildable so you can easily create a medium to full coverage without looking like you've pilled on a huge amount of make up. This is ideal for me in a concealer as I find that when my skin does break out, I struggle to cover imperfections without drawing more attention to them, and after using this for the past few weeks, I have been very impressed with the results. Another aspect that I love about this product is that it works very well with or without foundation. I have often applied it once I have moisturised, just under my eyes and on any imperfections and gently blended it in to the rest of my skin. It works really well for a natural yet covered look. When used with foundation it obviously offers a much more flawless appearance to the skin, but it is nice to have the option to wear it on it's own on down days or during the summer months when I tend to wear a much lighter coverage anyway. What are your thoughts on the Nars Radiant Creamy Concealer? If you often read my blog then you will know that I am a huge lover of historical fiction. The latest book that I have read is The White Queen written by Philippa Gregory. I really enjoy a Gregory novel, I think she is a fantastic writer that really keeps the reader engaged. Most of her books are written from the point of view of woman which is a great way to discover and read about historical stories and events as this is often a view point which is often forgotten or neglected. The white Queen is written about the mother of the princes in the tower, the infamous story about what happened to the two heirs to the throne of England, their disappearance of which enabled Richard III to become king. It is part of a series of which I am currently reading and if you are looking for a gripping story of love, hate, politics, history and a little bit of make-believe then is is a book for you. Have you read The White Queen? What historical novels would you recommend? I do love spring, and I also love how you can incorporate the feel of spring into your make up. I was picking out a few bits that I haven't used for a while and thought I would write a little post to show what products I feel are my spring time essentials. Benefit's Lolli-Tint cheek and lip stain works perfectly with their Hervana blusher. The wonderful purple and pink hues from these two products are a perfect pair to create a light and fresh look. I love that they are subtle yet really girly and give my cheeks and lips a lovely pop of colour. 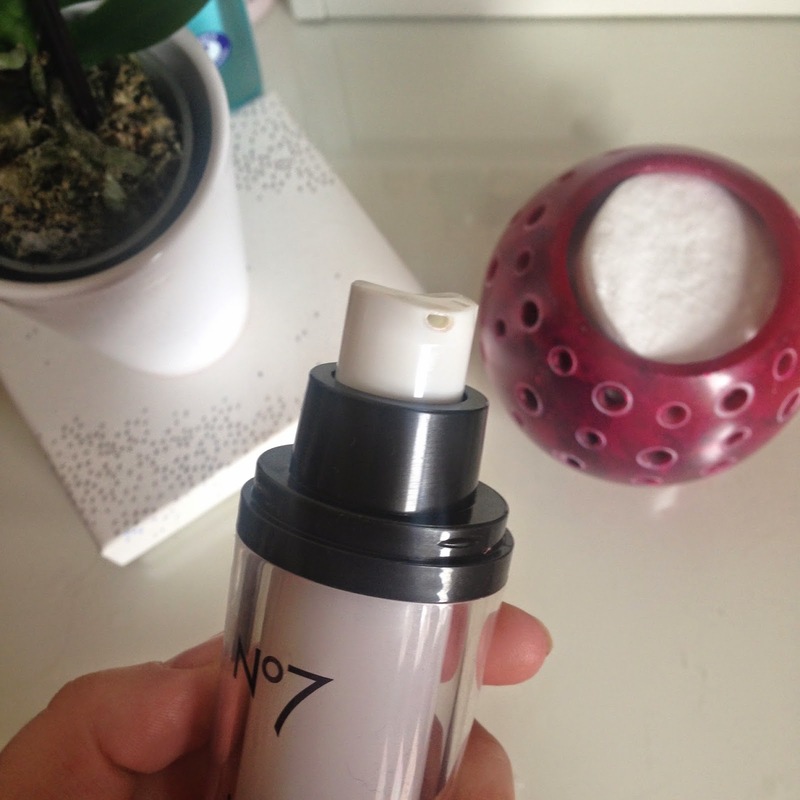 I have also been applying the No.7 Instant Radiance Beauty Balm underneath my foundation that has been giving my skin a lovely healthy glow. I have written a full review so you can read a bit more about it here. Another pick from the No.7 Instant Radiance collection is the highlighter which is a stick that glides evenly in the desired areas and requires little or no blending when applied. This is a wonderful little spring-time product that gives a more natural highlight on the cheek bones which is great for everyday wear. Finally, I have also been using the Nars Concealer which is great at getting rid of dark circles and imperfections, which really helps to create that effortless, fresh, spring look at I have been striving to achieve these past few days. What are your spring-time essentials? It really feels as though spring is in the air and for me this means pastel clothing, time spent outside and light, bright make up. I like to feel fresh during this time of year and that is why I really enjoy using this No.7 Beauty Balm prior to popping on my make up. It is a lovely little product that gives your complexion a soft and subtle radiant glow. I will usually apply my make up and then pump a pea-sized amount of the beauty balm on to my finger tips and gently pat the product around my face until it has all blended in. It creates a very light pink shimmer which I know sounds slightly daunting but once your base has been applied as normal, it creates a lovely glow to your skin. 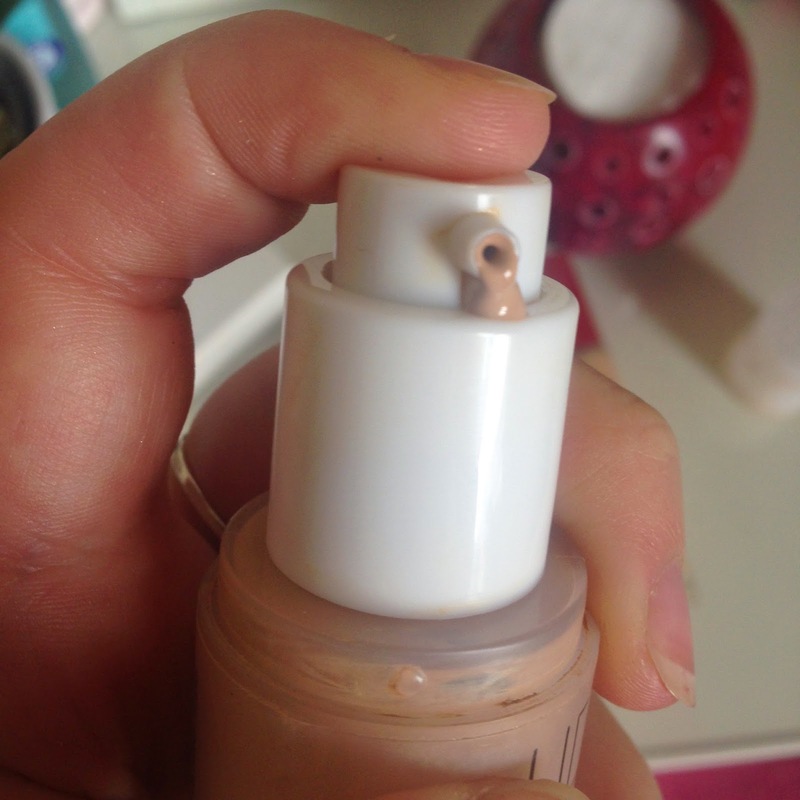 In the Above picture there is a small amount of what it looks like when pumped out of the bottle, and on the right I have blended the product into the back of my hand. It is a very light finish with only the smallest amount of shimmer to reflect the light particles when shone on to your face. It feels extremely light-weight on the skin, to the point at which I cannot even tell that it has been applied it is so light. It comes in a pretty large bottle and because of the small amount required will last a great deal of time. I think this is a perfect little addition to a spring makeup bag as I feel it really gives the skin that added boost after being hidden away with full-coverage over the winter months. What are your latest spring-time make up essentials? I am very much in the mind set that as long has I have a good base the rest of my make up can take a bit of a back seat. As much as I love the eyes, I always try to use good quality make up in terms of base products as they can really effect the appearance and feel of your skin if they aren't quite right for your skin type. With it being on the cusp of spring my base products are still predominantly foundations and I only tend to dabble with BB creams and tinted moisturisers during the summer months. So for now I will just focus on my current base favourites and talk about my go to products that I have been using over the winter months and will continue to do so until the weather gets a little sunnier. 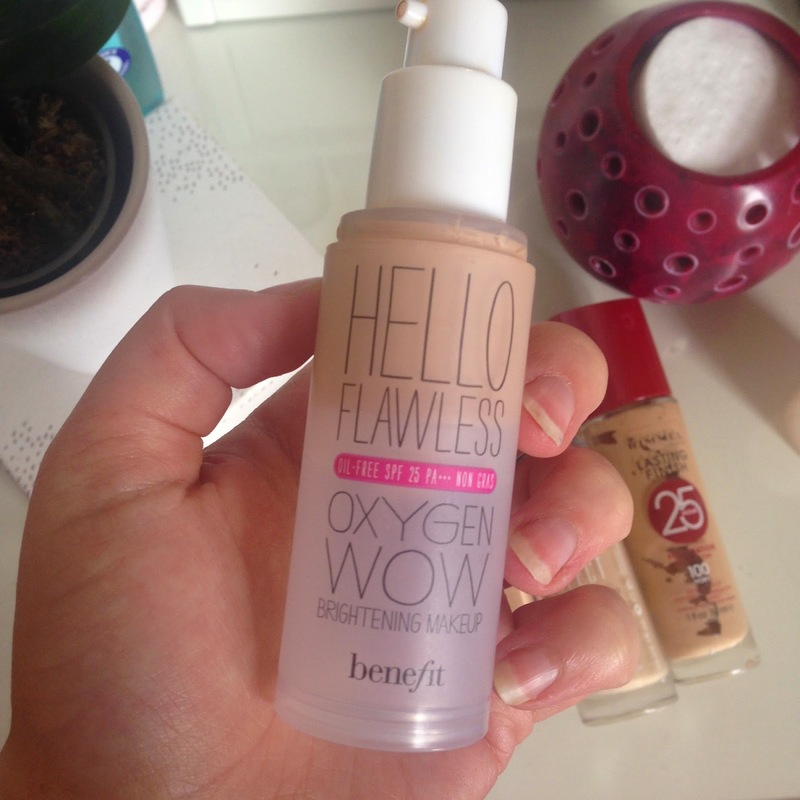 My every day go to foundation which was been a favourite of mine for a couple of years now is Benefit's Hello Flawless Oxygen Wow in Ivory. 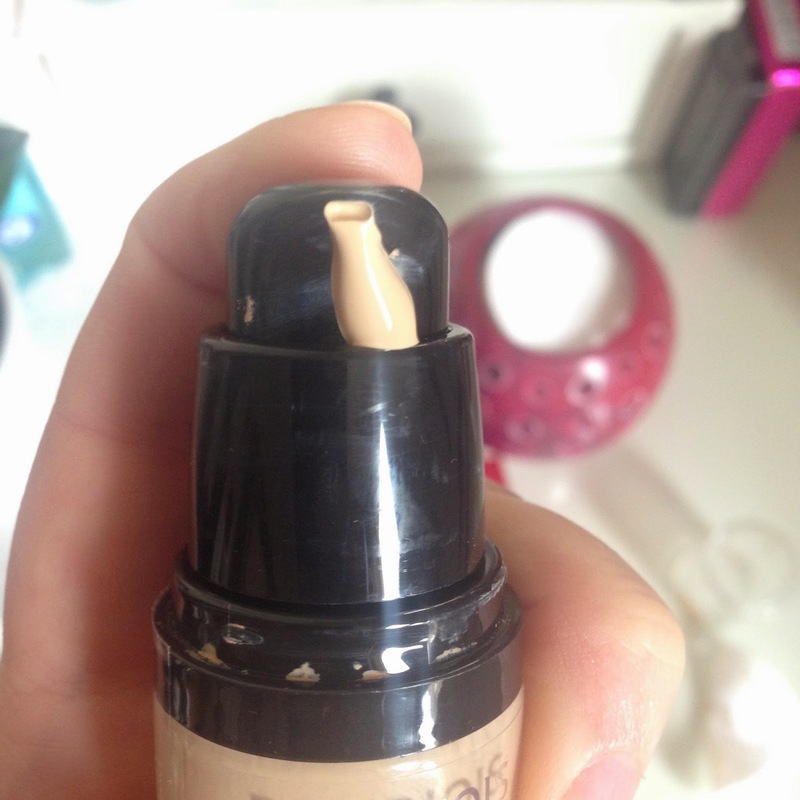 This is a wonderful dewy foundation that is extremely light-weight on the skin but gives a medium coverage. I love this foundation as it is not too heavy duty and so it doesn't feel as though my skin is clogging up, but I feel safe with the knowledge that my imperfections are covered up with a natural finish. My Benefit foundation may be at risk of becoming my second favourite however as I have recently been using the Nars Sheer Glow Foundation. I was given this as a Christmas present and have been saving this for nights out, special occasions or if I will be taking photographs as it has no SPF so no flash-back from the camera. The fact that it has no SPF is a bit of a downside for me as I think it is really important to protect the face from sun rays, even when it doesn't actually look that sunny outside. However, when I apply this beaut I just make sure that I wear a moisturiser with a high SPF. It has a gorgeous finish which is dewy and hides pretty much all imperfections so it is slightly heavier than Hello Flawless. It is a bit more pricey at £31 a bottle but if you are wanting a more luxury high-end look for evenings out I would really recommend this product. For work I wear more high-street brands on my face as I am a waitress and so I don't want to look too dolled up for work, and I also don't really want to waste expensive make up on unappreciative customers! 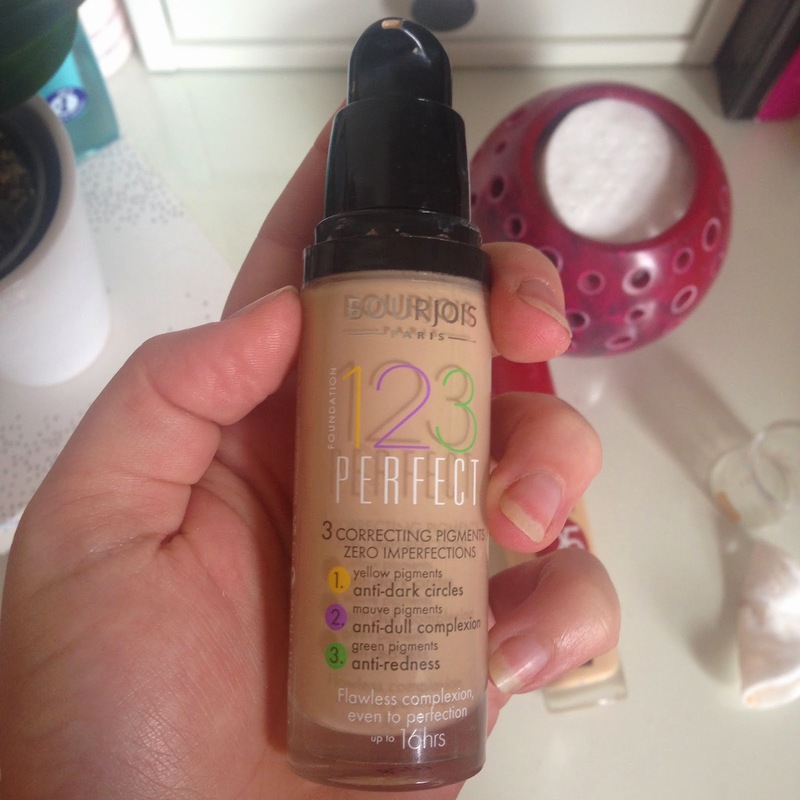 I will usually wear my Bourjois 123 Perfection Complexion foundation as it isn't too dissimilar to my Hello Flawless and it seems to work really well with my skin. It again has a medium coverage and a dewy finish (can you see a pattern emerging here!?) I sometimes wear a 25 Hour Rimmel foundation at work if I am working a wedding or a function as these shifts can often last up to 12/13 hours and so I need a little extra coverage that will last that bit longer without having to touch it up too much though out the day. 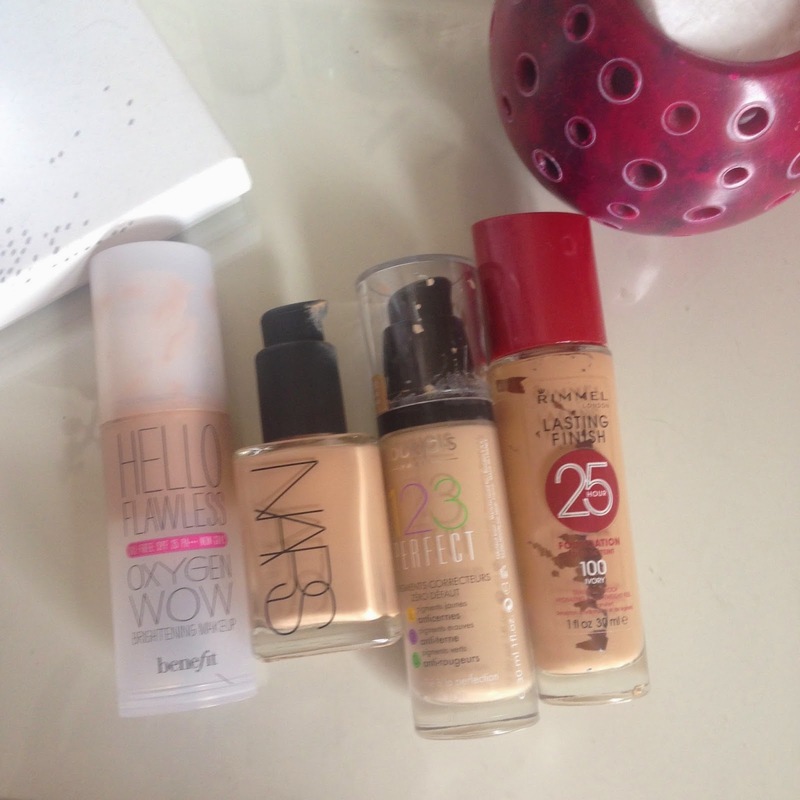 What base products do you like to use on a daily bases either for work or at home? I have read so much about Tangle Teasers over the years and a number of friends have highly recommended that I purchase one but there has always been something about them that has made me feel dubious about buying one. I guess I just always looked at them and thought, surely that tiny little brush with ridiculously thin bristles will be nothing when attempting to de-tangle my long, thick locks. I have used a standard barrel brush for years, and although it can be quite tough sometimes to de-knot my hair, I guess I have always just put it down to my hair type and length. It wasn't until I was watching one of InTheFrow's GRWM videos and I saw how easily she was able to brush her luscious locks with a Tangle Teaser. So, as a typical beauty blogger, I made up my mind that I would finally give it a go. I have to say, I have been very impressed with this brush as it very easily tackles knots both with wet and dry hair. I have also found that the condition of my hair has improved whilst I have been using it. I think it may be due to the alternative little and longer, thin, evenly spaced bristles that are able to glide in-between the hairs which seems to make my hair much more glossy, shinny and manageable. What do you think about the Original Tangle Teaser? Do you have any tips for looking after long hair? Pinch punch first of the month! I love the moth of April I feel as though we are well and truly into spring now and I can't wait for Easter Weekend! I have Easter Sunday off work and have some lovely family plans which I am really looking forward too! During March I have been loving a bit of a mixed bag ranging from a bold lip to All Star hair care. I have really been loving Mac's Viva Glam lipstick by Miley Cyrus, full review here, as an everyday colour. I feel like it brightens up my mornings and makes chilly mornings a bit more bearable. I feel as though I may be putting this one away however, until the summer months come in, I think it'll look cracking with a tan! But for the next few weeks I will probably be opting for a more spring-time look perhaps using lip stains rather than lip sticks to give a softer look. As you may have already read, I have been applying my concealer of late with the Real Techniques Miracle Complexion Sponge which you can read a full review of here. It is great at evenly and effortlessly blending concealer into my base, especially when it has been previously sprayed with Superdrug's Vitamin E Toning Mist (full review here). This is a great dupe to the Body Shop spray and works wonderfully with the sponge as I find that it is better when used slightly damp. I treated myself to a new They're Real Mascara, which is by far my favourite. It has been lovely using it again as I have gone a few months without one, sob! I find that I need less eyeliner when using this mascara as it really lengthens and thickens my lashes giving a really full look which makes my eyes look much larger. Lastly on my March Favourites is the got2b All Star 10-in-1 Styling Treatment which you can read more about here. It is a wonderful product that styles and protects your hair in a number of different ways, and has really changed the quality and overall effect of my hair of late. What have you been loving this past month? Are you excited for the month of March?